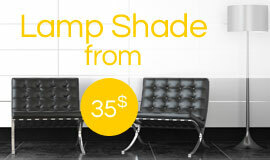 Experience shade, design and light! Unique and affordable Abat-Jour Design is the place for you. Located in Montreal, the store specializes in the sale of lamp shades and will help define your home surroundings that suits you best. You will find the lowest prices in town, it’s guaranteed! 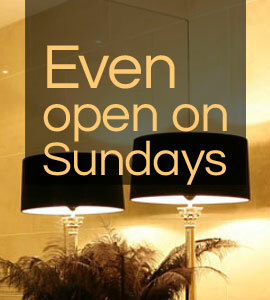 Abat-Jour Design is a dynamic company that stands out for its unique, high quality and affordable lamp shades. These lamp shades are made in Montreal. You will always get the best value for your money. Come visit us at 112 Chabanel West. 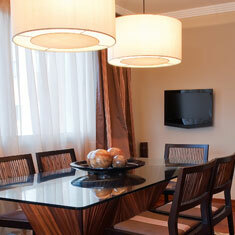 You’ll receive a warm welcome by our professional interior designer. — A “cozy” aspect to your living room? — Boldness to your kitchen? — Intimacy to your bedroom? From the moment you enter our store you will be supported by interior designers that will help you find your ideal lampshade for your lamp. Coming to Abat-Jour Design will not only mean coming to purchase a lampshade, but rather embarking on a new journey different experience, customized exactly for you. You will have the luxury of sitting in comfortable chair, while an expert in the field of lampshades will showcase different styles of lampshades directly placed on your lamp and will address all your needs. You will leave our store fully satisfied with an unique lamp full of personality, your personality! 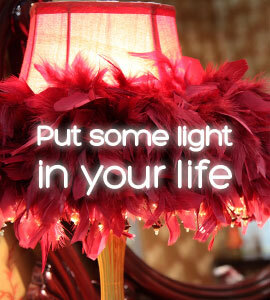 Light illuminates your life, lampshades gives it warmth and color. Light occupies a prominent place in our lives. Upon your arrival at home, light takes possession of your senses, it guides your steps. Used wisely, light carries you and plunges to your desired ambiance. Lampshades dress light to the color of our life. Lampshades are the only things that can create this special world in which we live. 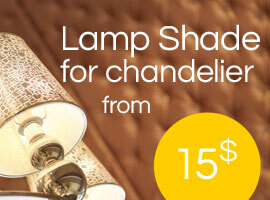 Lampshades define the decor of a room and gives it its warmth. Whether your style is modern, classic, contemporary, rustic or even eclectic, a lampshade that is suited to your needs will become the masterpiece within your home surroundings. We know that the field of decoration is a visual universe that requires an ability to imagine different objects together in order to create something special. It is for this very reason that Abat-Jour Design offers interior expert designers to help you. Come visit us and give life to your lamp.